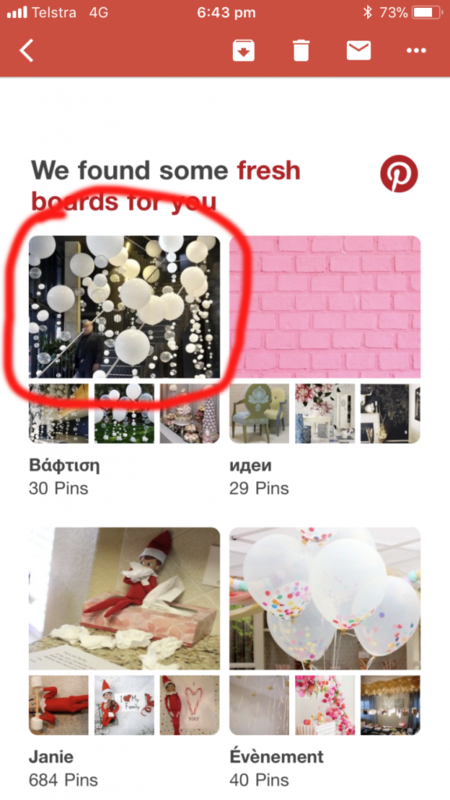 and type the following words "Pinterest Balloons" and hit enter. 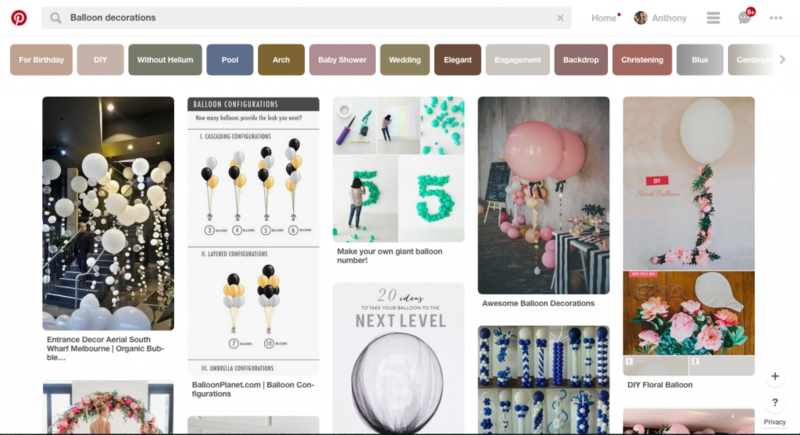 Or better still head over to the Pinterest site and then type in "Balloon decorations". This is what comes up for us. When you take into consideration that Pinterest has 175,000,000 million registered users that is every 35 users on Pinterest have re-pinned our picture. 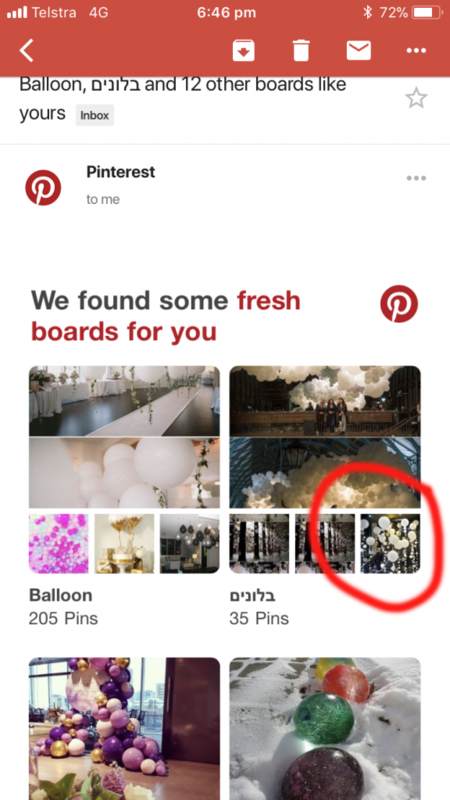 It also explains why when you look at Pinterest boards from around the world in relation to balloon decor our image shows up time and time again. Such as these from Russia and Israel. When considering decoration for your next event it costs no more to have a professional team design, and develop and install everything for you so your event might be shown around the world too! A message regarding professional Balloon art. Space Parties are Out of this World! Do you have an image showing what you are interested in?